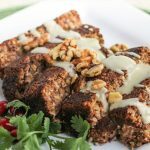 This vegetarian meatloaf is perfect for special occasions such as Christmas and various celebrations. 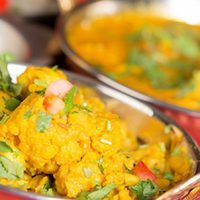 It’s rich and filling and should satisfy taste buds of any vegetarian. You can serve it with roasted or boiled veg and add a mashed potato on the side to create a proper celebratory meal which is healthy and nutritious. This vegetarian recipe is courtesy of Candida Diet Foods, online service, shop and diet plan designed to help you lead a healthier lifestyle by carefully selecting products for you that will eradicate conditions such as persistent thrush, fatigue, headaches and digestive irritability, caused by an overgrowth of candida. For the meatloaf: Combine the water and buckwheat in a large saucepan with 1 tsp salt. Bring to the boil and then reduce to a simmer for about 40-50 minutes until the buckwheat is very tender. Drain and set aside to cool. Once cool, combine in a food processor with the walnuts and pulse a few times to break down. Preheat the oven to 180°C (160° fan) | 350F | gas 4. Grease and line the base and sides of a 900 g | 2 lb loaf tin with grease-proof paper. Heat the olive oil in a large saucepan or casserole dish set over a medium heat. Add the red onion and a pinch of salt, sweating for 5-6 minutes until softened. Add the garlic salt, dried herbs, and a little pepper. Stir well to combine before removing from the heat. Stir in the buckwheat wheat mixture and beaten egg. Season with a little more salt and pepper. Spoon the mixture into the prepared loaf tin, smoothing the top. Bake for about 1 hour 5-15 minutes until golden-brown on top and dry to the touch; a cake tester should come out clean from its centre. Remove to a wire rack to cool. For the sauce: Whisk together all the ingredients for the sauce in a small mixing bowl. Season to taste with salt and pepper. To serve: Once cool, turn out the loaf from the tin and cut into slices. 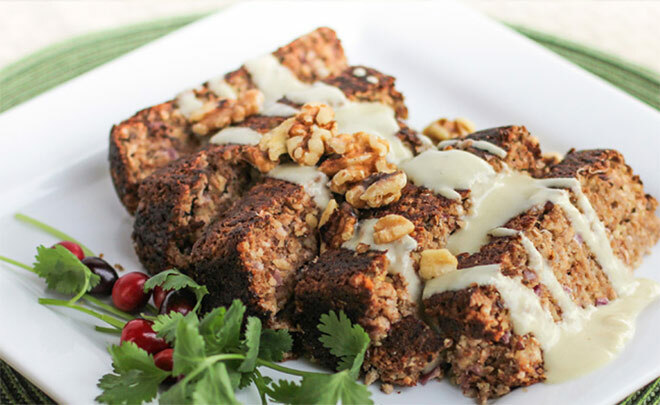 Drizzle with the sauce and serve with a garnish of walnuts, and coriander sprigs.